Why struggle to remove and dispose of your rubbish in Brixton, when a team of SW9 waste clearance professionals can do it for you? For an exceptionally low cost, we offer a team of skilled, experienced staff along with all of the necessary equipment in order to leave you with a completely cleared, rubbish-free space. We dispose of your waste in the most efficient ways possible, so you don’t have to. 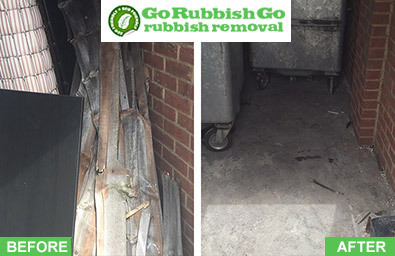 Here at Go Rubbish Go., we understand the importance of protecting the environment, so you can rest assured that we will go to every length to inflict as little harm as we can. When disposing of your old junk, we always try our best to have it recycled or re-used, with landfill as our absolute last resort. We offer the highest possible standard of waste disposal in SW9, Brixton, along with incredibly low costs that won’t break the bank! Our number one aim is to provide each and every one of our customers with great value for money, so we work hand to minimize our costs wherever we can, so that they can be reflected in the prices we charge. For more information about our Brixton rubbish clearance services available in the SW9 and SW2 areas, call us today on 020 8610 9182! Let Our Professional SW9 Waste Clearance Staff Dispose Of Your Old Junk! Go Rubbish Go. offers a vast range of Brixton waste collection services to cater for a variety of circumstances. 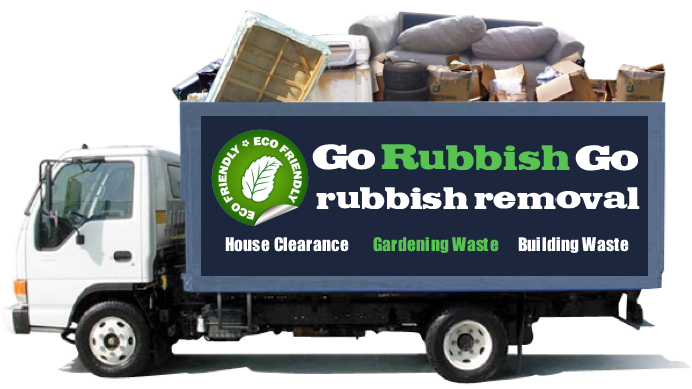 To name just a few, we offer: basement junk clearance, garden clearance, home clearance and even builders waste disposal. Our services, combined with the expertise of our staff, aim to provide a service of an exceptionally high standard, at a price that will not be beaten anywhere else in the SW9 region. 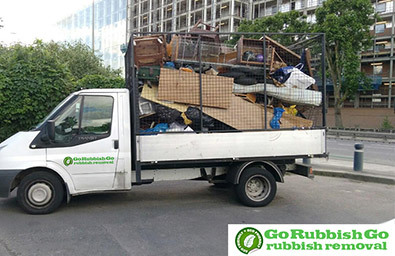 Hiring our rubbish disposal SW9 service will not only save you time and effort that would be wasted if you attempt to complete the task yourself, but it will save you money too! I was in urgent need of a waste clearance in Brixton for my attic. After a quick research of the companies that covered the SW9 area, I settled on this firm as they had really good deals. Best decision ever! All the rubbish was gone from my attic in just a few hours! 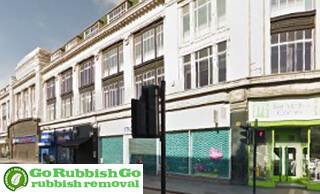 Hire Our Experienced Brixton Rubbish Clearance Professionals! Our rubbish removal Brixton services are a cheaper, more efficient alternative to skip hire, and you have no need to apply for a skip permit either. Our service combines everything possibly needed to effectively clear your property of junk, at a very reasonable price. If you need help clearing your property in the SW2, whether it’s the depths of your garden or up inside a crowded loft – we’ve got it covered! For fully trained, professional staff and an outstanding clearance service, there’s really no reason to look any further. Call us today on 020 8610 9182 for more information about the services we provide, a free quote or even to book with us right now! When you book an appointment with us, you are booking the most talented, extensively trained, and friendly staff you will find anywhere! Always happy to share some hints and tips with you along the way, our workers are as efficient as they are proficient. They will be in and out before you know it, taking care of every stage of your rubbish clearance needs so that you don’t have to worry about anything! We know that some services expect you to prepare your house for their arrival, but our staff do not share this opinion. 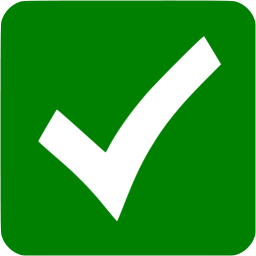 We believe that if you book а waste removal Brixton, SW9 service, you hire us for the whole job and that is what you will get from us! Brixton is a district in the borough of Lambeth in the south of London. It is a largely residential area with a multi-ethnic community. A large percentage of the residents in Brixton are of African and Caribbean descent. This diverse, multi-cultural way of life is celebrated by the Brixton market – a daily market that sells a range of Afro-Caribbean products and boasts supermarkets from a variety of cultures. The area also has its own farmer’s market, which runs every Sunday and offers fresh, local produce to the locals and to visitors. The markets of Brixton are accompanied by a variety of independent restaurants and cafes for all to enjoy, and create a vibrant, colourful atmosphere in the area. The region also has a selection of small hotels to accommodate any visitors the area attracts.